Grass issues. Losing a game to the weather. Mack Brown will have none of it. 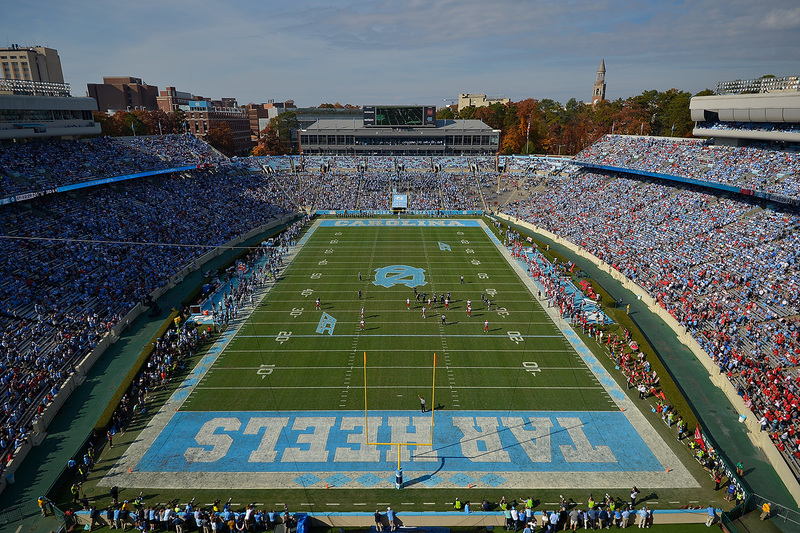 Carolina’s new football coach had artificial turf installed at Texas Memorial Stadium in 2009 when he was coach there, and he’ll have it in Kenan Memorial Stadium this fall. The Rams Club will spend about $2.5 million to carpet the field. The work will start after Commencement in May and will be done in time for the home opener on Sept. 7. The UNC System Board of Governors has approved the expenditure. Turf is something Brown has wanted since he returned to Carolina in November. The Tar Heels practice on artificial turf in their new indoor facility and soon will have a choice of artificial or real turf on two outdoor practice fields. The BOG also approved a $3 million expenditure to upgrade the weight room and locker rooms in the Kenan Football Center.